Intel this week released an open-source, central processing unit-based encoder for the AOMedia Video 1 (AV1) codec, which many believe will be the successor to the h.264 and HEVC coding formats for video streaming over the web. Codecs are basically a software program that’s used to encode, compress, transfer and then decode digital data streams such as video. The word is a portmanteau of “coder-decoder”. That’s because they comprise both a coder, which is used to encode the data stream for transmission or storage, and also a decoder, which reverses the encoding when it comes to playback or editing. 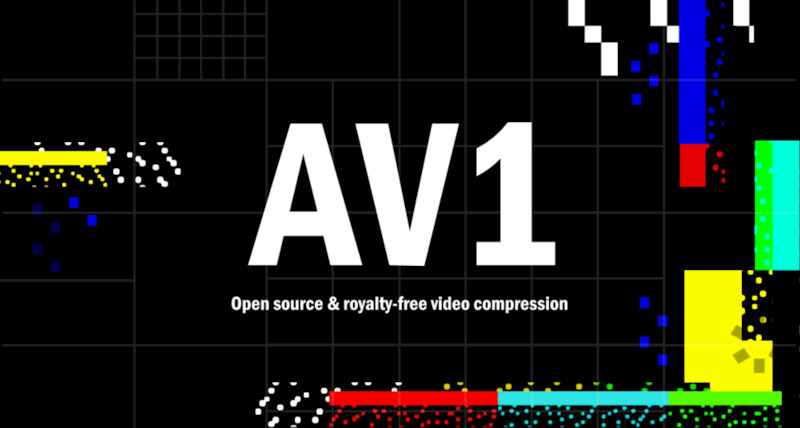 The AV1 codec is currently being developed by the Alliance for Open Media, which is a nonprofit group backed by Intel in addition to other concerned tech heavyweights such as Amazon, Apple, Facebook, Google, IBM, Microsoft, Mozilla, Netflix, and Nvidia, among others. Those companies are working to get the AV1 codec accepted as the new industry standard for video streaming. They cite several advantages it offers including reduced bandwith and the fact that it’s “royalty free”, which means anyone who uses it doesn’t have to worry about being sued for patent violations. Bearing in mind that widespread adoption generally dictates which codecs become “standard”, the enormous backing AV1 has from the tech industry suggests this is pretty much a sure thing. And so Intel is now stepping up that push for adoption with the launch of its new encoder, which is called the Scalable Video Technology AOMedia Video 1 (SVT-AV1). The encoder, which supports Windows, macOS and Linux, is actually more of a stop gap until the industry can ship its first dedicated AV1 encoders, which unfortunately might still be one or two years away. Being a CPU-based encoder, SVT-AV1 requires some heavy hardware. Intel’s recommended hardware specifications include a Skylake generation or newer processor with a minimum of 112 threads, in addition to a whopping 48GB of RAM for 10-bit 4K video encoding. Such a system would be incredibly expensive for most consumers, and so the codec is clearly aimed at video streaming companies alone. Consumers who want to encode their own videos using AV1 will therefore most likely have to wait for the dedicated hardware to appear in the next year or so. The launch of Intel’s encoder follows the release late last year of the open source dav1d AV1 decoder, and means that both pieces of the puzzle are now in place.